Robert Graham (1786-1845) was the University's first Regius Professor of Botany, from 1818 to 1820. Born in Stirling, Graham studied at the University of Edinburgh and at St Bartholomew's Hospital in London, was licensed as a surgeon, and set himself up in private practice in Glasgow. He was a visiting physician at Glasgow Royal Infirmary in 1812-1813 and from 1816 to 1819. Graham gave occasional lectures in Botany at the University from 1816, and was appointed to the Regius Chair soon after it was created in 1818. 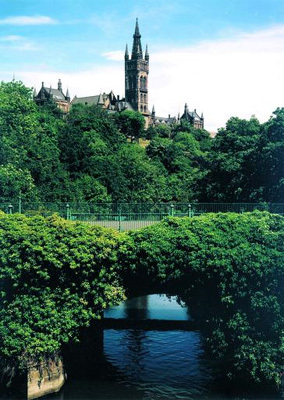 During the following two years he was involved in laying out the new Glasgow Royal Botanic Institution's gardens at Sandyford. In 1820, he moved to the University of Edinburgh as Regius Professor of Botany and Keeper of the King's Garden. Graham went on to establish a new botanic gardens in Edinburgh and opened the largest palm house in Britain. He was the first President of the Botanical Society of Edinburgh, a President of the Royal College of Physicians of Edinburgh, and a President of the Medico-Chirurgical Society. Born 7 December 1786, Stirling, Scotland.